DAS Smart Calculator is DAS password generator calculator for mercedes benz. 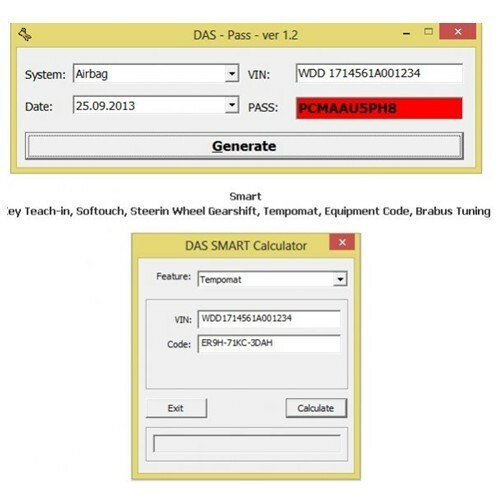 DAS Calculator for Mercedes Benz version is 1.2. For Mercedes calculator support Airbag, Air Conditioning, Instrument Cluster, C-Klasse 204 (204 Password Calculate).